Styling music videos is something I have always wanted to get in to since I started making clothes. I finally had the opportunity when Orlando emcee E-Turn asked me to be a part of her music video for “Lucid”, a track off of her latest album- Dark Trust. Directed by Varras Tower, this project was so fun to work on and came out amazing! The theme is that E-Turn and her hip hop crew are hanging out on the Daytona beach boardwalk and arcade when they run into a punk/biker guy and get into a mini altercation with him. He calls his crew in, and it turns into a dance off between the hip hop and the punk/bikers. The challenge for me was in the details of the biker looks. 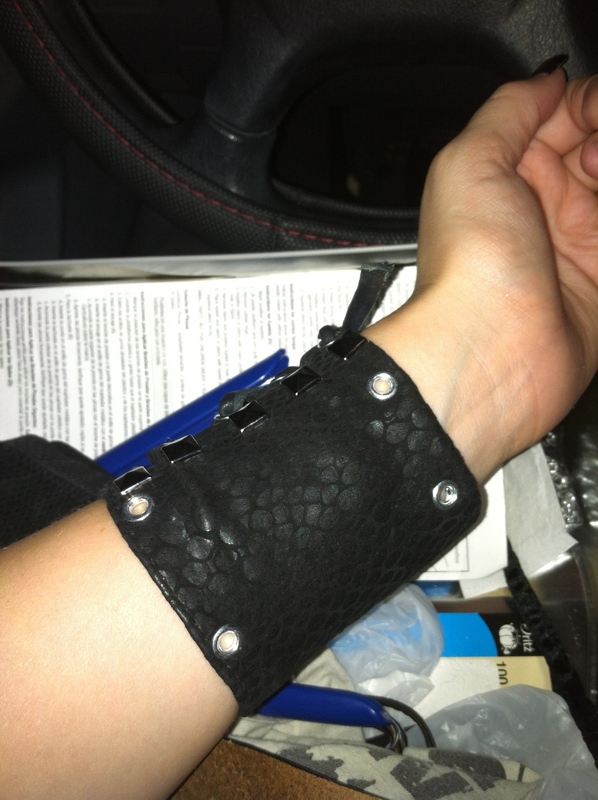 I used a lot of studs and spikes to give the pieces a rough edge. I also made and hand painted bandanas for both crews. 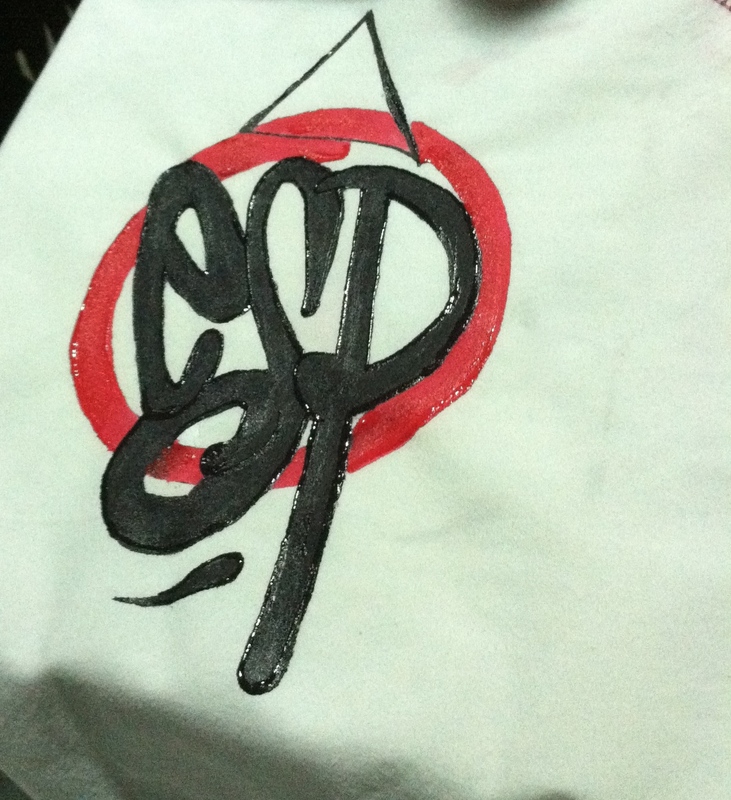 ESP logo bandanas to rep for E-Turn and SPS on the hip hop side, and abstract skull with sunglasses for the punk/biker crew. I loved how my accessories came out! 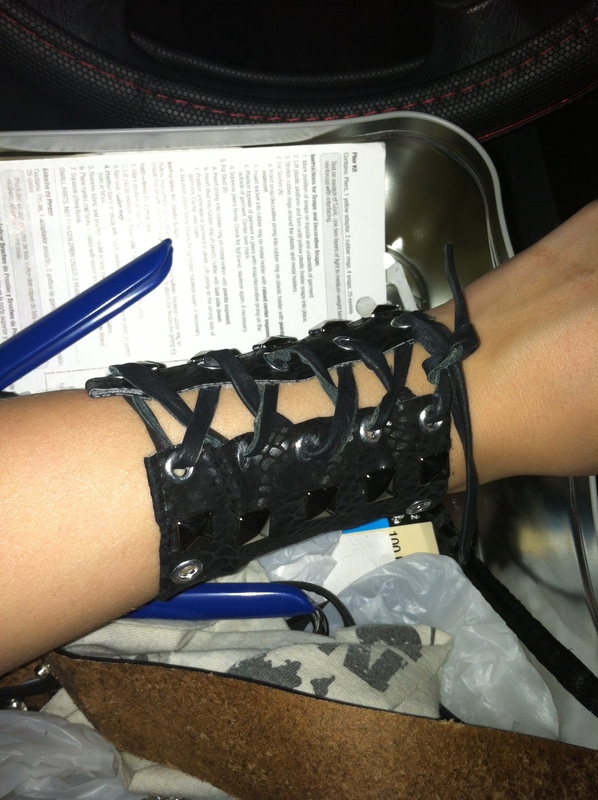 I made wrist cuffs out of leather, studded them out, and gave them eyelets to lace up with leather straps. Oh- and did I mention I got to be in the video!? My pink hair made me a perfect candidate for the biker crew. The hip hop crew may have won the dance battle in the video, but this project was a team effort and we definitely all won with this one! Had so much fun with this, I hope to be styling more music videos soon! ← The Spring Pastel Trend! Plus- How to wear a Men’s hat!